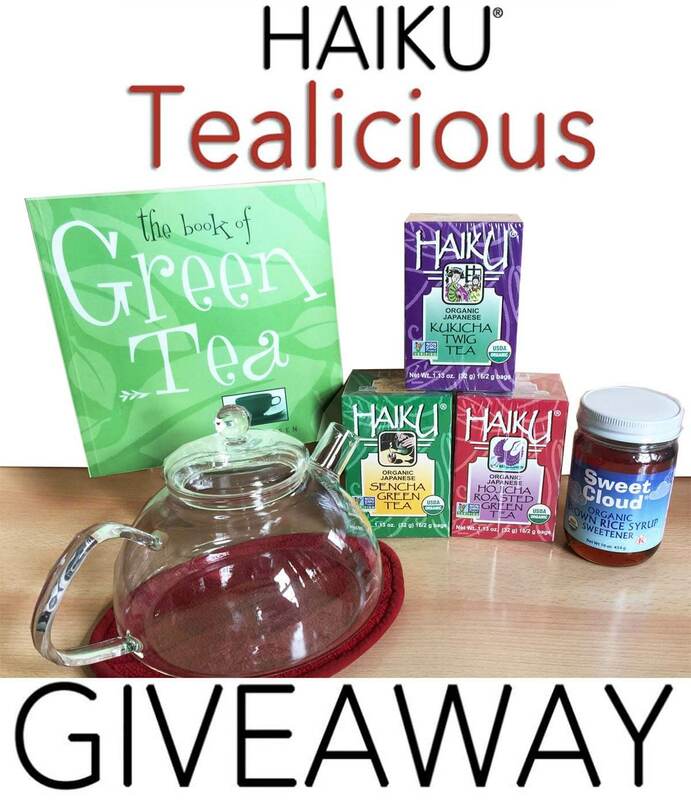 Enter our SPRING "Haiku TEAlicious Giveaway"
We invite you to enter our Spring Haiku TEAlicious Giveaway for a chance to win three of our delicious Haiku Organic Japanese Teas, a jar of our Sweet Cloud Organic Brown Rice Syrup, a beautiful, handcrafted German Glass Stove-Top Kettle, Glass Tea Mug (made in the USA!) and a copy of The Book of Green Tea by Diana Rosen. It's easy to enter and share with your social circle to increase your chances to be our lucky winner! The Haiku Tealicious Giveaway is presented by Great Eastern Sun, Asheville, NC. Giveaway is good for USA entries. The lucky winner will be contacted by email. This promotional Giveaway is in no way sponsored, endorsed or administered by, or associated with Facebook/Twitter/Pinterest or Instagram. You understand that you are providing your information to the owner of Great Eastern Sun and Miso Master's business Facebook. Twitter, Instagram and Pinterest pages and accounts and not to Facebook. Twitter, Instagram or Pinterest. Be sure to share this Miso Master Miso Healthy Giveaway with family and friends and in your social media circle! Connect with us on our Great Eastern Sun and Miso Master Miso Facebook pages to stay up to date on our Great Monthly Giveaways!